Travelling around Italy one is amazed by the cultural and historical richness of the country. Venture off the regular tourist path and you'll also find some incredible natural wonders. Fruili-Venezia Giulia is a melting pot of cultures; just visit a bar in the region where you're likely hear Italian, Slovene and German spoken at the one table. The region is also a natural melting pot as the confluence of three distinct biogeographic areas, Mediterranean, Illyrian and Alpine. 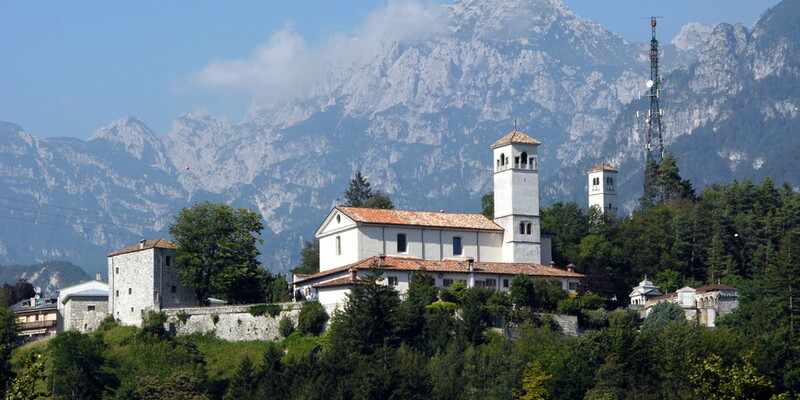 If you want to experience this clash of cultures and landscapes then look no further than the Julian pre-alps nature park (Parco Naturale Prealpi Giulie). The nature reserve sits on the Slovene-Italian border at the site of one of the First World War’s fiercest frontiers. Apart from its historical significance the park has stunning natural scenery and a rich biodiversity, with impressive forests, wildflowers and wildlife, all present - though you’ll need luck to spot the elusive chamois. The park offers something for everyone, from easy walking paths to challenging multi-day hikes with mountain hut accommodation on-route. The area is also popular with mountain bikers and in winter brave souls can try snowshoeing (available to rent at the visitor centre). The visitors centres dotted around the park offer excellent information (only in Italy do park rangers give local restaurant advice) whilst in Resiutta on the park's northern boundary, there is also an interesting Mining Museum detailing the regions rich mining history. The villages around the park are also well worth checking out with rich cultural histories and sights such as a handful of 12th to 14th-century churches and abbeys.